The ability to inexpensively capture, search, annotate and share gigapixel panoramic image data is changing how science can perform field work, how temporal processes are analyzed and how scientists can communicate their mission to public audiences. In this talk I will describe a four-year experiment in direct science community empowerment using the gigapan imaging system to enable new forms of documentation and analysis. Very new work in microgigapan image creation and gigapixel timelapse capture and exploration promise entirely new ways of capturing and describing physical processes. I will demonstrate the newest real-time gigapixel timelapse view and will describe several science applications of gigapixel imagery that are presently generating strong community interest. Illah R. Nourbakhsh is an Associate Professor of Robotics and head of the Robotics Masters Program in The Robotics Institute at Carnegie Mellon University. 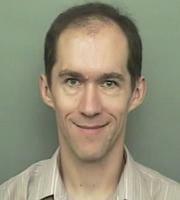 He was on leave for the 2004 calendar year and was at NASA/Ames Research Center serving as Robotics Group lead. He received his Ph.D. in computer science from Stanford University in 1996. He is co-founder of the Toy Robots Initiative at The Robotics Institute, director of the Center for Innovative Robotics and director of the Community Robotics, Education and Technology Empowerment (CREATE) lab. He is also co-PI of the Global Connection Project, home of the Gigapan project. He is also co-PI of the Robot 250 city-wide art+robotics fusion program in Pittsburgh. 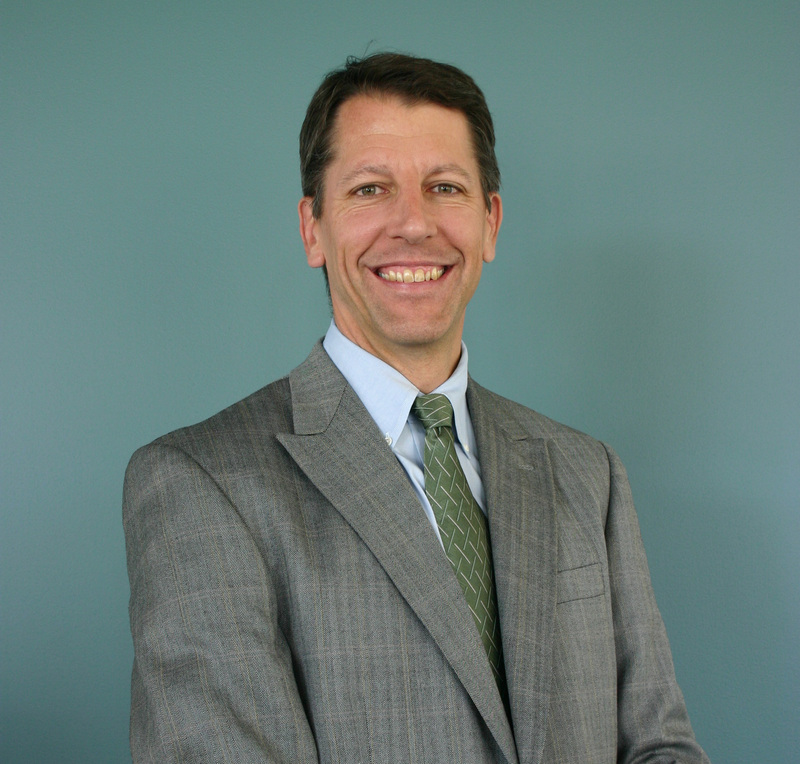 He is director of education for the NSF-funded ERC, Quality of Life Technologies. His current research projects include educational and social robotics and community robotics. 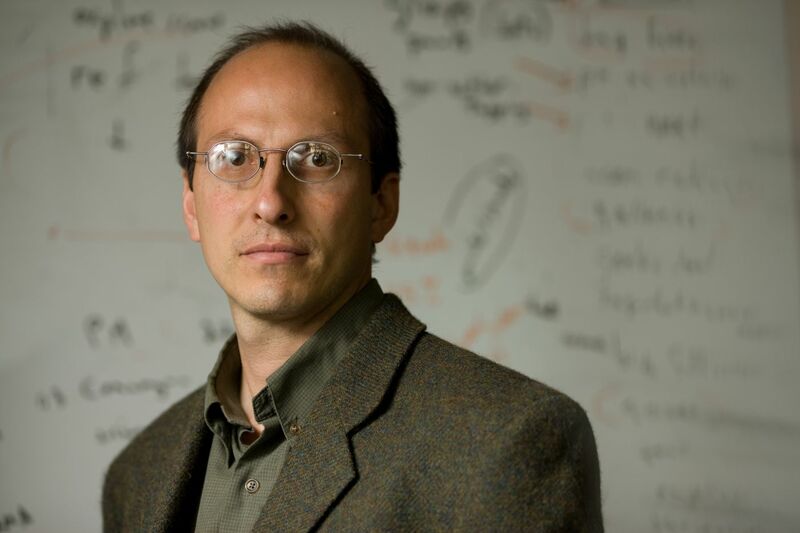 His past research has included protein structure prediction under the GENOME project, software reuse, interleaving planning and execution and planning and scheduling algorithms, as well as mobile robot navigation. At the Jet Propulsion Laboratory he was a member of the New Millenium Rapid Prototyping Team for the design of autonomous spacecraft. He is a founder and chief scientist of Blue Pumpkin Software, Inc., which was acquired by Witness Systems, Inc. Illah recently co-authored the MIT Press textbook, Introduction to Autonomous Mobile Robots. We develop photoacoustic imaging technologies for in vivo early-cancer detection and functional or molecular imaging by physically combining non-ionizing electromagnetic and ultrasonic waves. Unlike ionizing x-ray radiation, non-ionizing electromagnetic waves—such as optical and radio waves—pose no health hazard and reveal new contrast mechanisms. Unfortunately, electromagnetic waves in the non-ionizing spectral region do not penetrate biological tissue in straight paths as x-rays do. Consequently, high-resolution tomography based on non-ionizing electromagnetic waves alone—such as confocal microscopy, two-photon microscopy, and optical coherence tomography—is limited to superficial imaging within approximately one optical transport mean free path (~1 mm in the skin) of the surface of scattering biological tissue. Ultrasonic imaging, on the contrary, provides good image resolution but has strong speckle artifacts as well as poor contrast in early-stage tumors. Ultrasound-mediated imaging modalities that combine electromagnetic and ultrasonic waves can synergistically overcome the above limitations. The hybrid modalities provide relatively deep penetration at high ultrasonic resolution and yield speckle-free images with high electromagnetic contrast. In photoacoustic computed tomography, a pulsed broad laser beam illuminates the biological tissue to generate a small but rapid temperature rise, which leads to emission of ultrasonic waves due to thermoelastic expansion. The short-wavelength pulsed ultrasonic waves are then detected by unfocused ultrasonic transducers. High-resolution tomographic images of optical contrast are then formed through image reconstruction. Endogenous optical contrast can be used to quantify the concentration of total hemoglobin, the oxygen saturation of hemoglobin, and the concentration of melanin. Melanoma and other tumors have been imaged in vivo. Exogenous optical contrast can be used to provide molecular imaging and reporter gene imaging. In photoacoustic microscopy, a pulsed laser beam is focused into the biological tissue to generate ultrasonic waves, which are then detected with a focused ultrasonic transducer to form a depth resolved 1D image. Raster scanning yields 3D high-resolution tomographic images. Super-depths beyond the optical diffusion limit have been reached with high spatial resolution. Thermoacoustic tomography is similar to photoacoustic tomography except that low-energy microwave pulses, instead of laser pulses, are used. Although long-wavelength microwaves diffract rapidly, the short-wavelength microwave-induced ultrasonic waves provide high spatial resolution, which breaks through the microwave diffraction limit. Microwave contrast measures the concentrations of water and ions. The annual conference on this topic has been doubling in size approximately every three years since 2003 and has become the largest in SPIE’s Photonics West as of 2009. 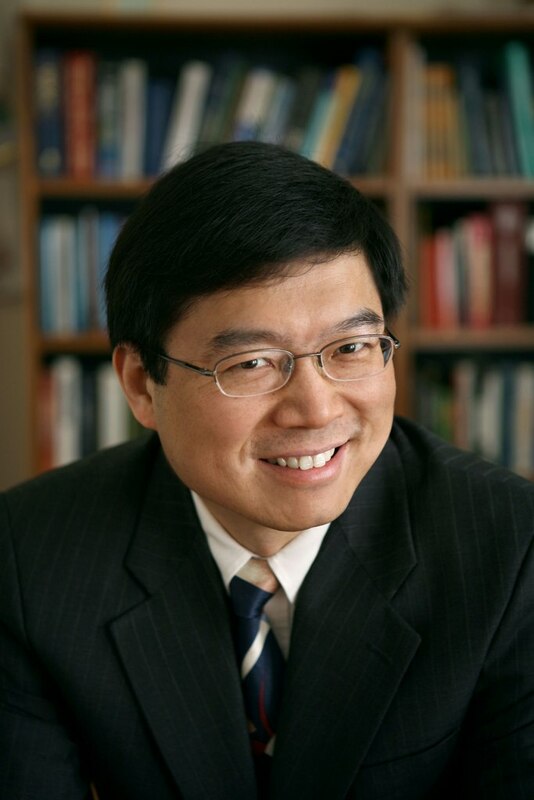 Lihong Wang earned his Ph.D. degree at Rice University, Houston, Texas under the tutelage of Robert Curl, Richard Smalley, and Frank Tittel and currently holds the Gene K. Beare Distinguished Professorship of Biomedical Engineering at Washington University in St. Louis. His book entitled “Biomedical Optics: Principles and Imaging,” one of the first textbooks in the field, won the 2010 Joseph W. Goodman Book Writing Award. He also coauthored a book on polarization and edited the first book on photoacoustic tomography. He serves as the Editor-in-Chief of the Journal of Biomedical Optics. Professor Wang has published >240 peer-reviewed journal articles and delivered >265 keynote, plenary, or invited talks. He is a Fellow of the AIMBE (American Institute for Medical and Biological Engineering), the OSA (Optical Society of America), the IEEE (Institute of Electrical and Electronics Engineers), and the SPIE (Society of Photo-Optical Instrumentation Engineers). He chairs the annual conference on Photons plus Ultrasound, and chaired the 2010 Gordon Conference on Lasers in Medicine and Biology and the 2010 OSA Topical Meeting on Biomedical Optics. He is a chartered member on an NIH Study Section. Wang is the founding chairs of the scientific advisory boards for two companies commercializing his inventions. He received FIRST and CAREER awards. He has received 27 research grants as the principal investigator with a cumulative budget of >$30M. His laboratory invented or discovered the functional photoacoustic tomography, dark-field confocal photoacoustic microscopy (PAM), optical-resolution PAM, photoacoustic Doppler effect, photoacoustic reporter gene imaging, focused scanning microwave-induced thermoacoustic tomography, the universal photoacoustic or thermoacoustic reconstruction algorithm, frequency-swept ultrasound-modulated optical tomography, sonoluminescence tomography, Mueller-matrix optical coherence tomography, optical coherence computed tomography, and oblique-incidence reflectometry. In particular, PAM broke through the long-standing diffusion limit to the penetration of conventional optical microscopy and reached super-depths for noninvasive biochemical, functional, and molecular imaging in living tissue at high resolution. Professor Wang’s Monte Carlo model of photon transport in scattering media is used worldwide. Imaging today in many ways is similar to electronics in the late 1970’s. Then electronics experts were numerous with a wide range of methods and technologies, but in practice new circuits had to come from a few vertically integrated electronics firms such as Intel, IBM, etc. In 1979 Carver Mead and Lynn Conway started an effort that essentially separated electronic design from manufacturing through VLSI design rules. Separating design from manufacturing led to the rise of fab-less semiconductor companies that are household names today. This same approach is needed in imaging to achieve what the world requires from future imaging systems. An important class of future imaging systems, in our view, will be Application-Specific Imaging Systems (ASIS). These imaging systems will not be general purpose in that they are meant primarily for human viewing, but will be specialized systems that capture and communicate specific types of information depending on the particular application. These systems will be specialized enough so that they actually assist in answering questions that are impossible to even ask today. They will be composed of radically different optical configurations, be highly efficient from an aberration perspective, and be composed of sensors and processors that act in concert to multiply their effectiveness. These systems will of course be computational. Imaging today needs a similar effort as Mead and Conway started in 1979 to separate optical and imaging design from manufacturing in order to make future imaging as commonplace as electronics. In parallel, new methods of designing imaging systems will soon be required. If the precision in fabricated optics can approach that of electronics, the line between electronics and optics will become merely conceptual and not physical. With sufficient optics precision and supply infrastructure all manner of new and important systems can be conceived, designed, fabricated and experienced. Ed Dowski has been working in Computation Imaging since the late 1980’s. In 1989 he worked at Konica Corporation (Tokyo) on one-step autofocus for digital cameras. In 1993 he received a PhD under Tom Cathy at the University of Colorado with a thesis related to specialized passive ranging systems. Soon after he started CDM Optics, with Tom Cathy and Merc Mercure, to commercialize the computational imaging technology called “Wavefront Coding”. In 2005 CDM Optics merged with Omnivision Technologies. At this point CDM was focused on computation imaging as well as systems technologies and fabrication of wafer scale imaging systems. In 2010 he and two partners started Ascentia Imaging with the goal of commercializing future miniature imaging systems beyond the cell phone camera market. Artists and scientists have used photography to portray events occurring over a range of timescales. I'll review some of the hardware and computational techniques used to tell these stories over time, focusing on the computational challenges involved in analyzing events over longer timescales. Bill Freeman is a Professor of Computer Science at the Massachusetts Institute of Technology, joining the faculty in 2001. His current research interests include machine learning applied to computer vision and graphics, and computational photography. 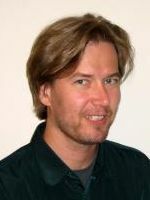 Dr. Freeman is active in the program and organizing committees of the major computer vision, graphics, and machine learning conferences. He was the program co-chair for the International Conference on Computer Vision (ICCV) in 2005, and will be the program co-chair for Computer Vision and Pattern Recognition (CVPR) in 2013. From 1981 - 1987, he worked at Polaroid, developing image processing algorithms for electronic cameras and printers. In 1987-88, he was a Foreign Expert at the Taiyuan University of Technology , P. R. of China. From 1992 - 2001 he worked at Mitsubishi Electric Research Labs (MERL), in Cambridge, MA, most recently as Sr. Research Scientist and Associate Director. He holds 30 patents and is an IEEE Fellow. A hobby is flying cameras in kites. Columbia University, the University of Maryland, and the Smithsonian Institution are working on visual recognition software to help identify species from photographs. I will discuss our work on?developing Leafsnap -- the first in a series of electronic field guides. As part of this work, we have completed photographing close to one third of the world's plant species and have begun capturing beautiful high-resolution images of live specimens. Our?work has led us in many new research directions in different domains such as human faces and, most recently, architecture, including the adoption of centuries-old techniques from taxonomy for the process of labeling images with visual attributes. In particular, I will show that it is possible to automatically recognize a wide range of visual attributes in images and use them in numerous applications of computational photography. 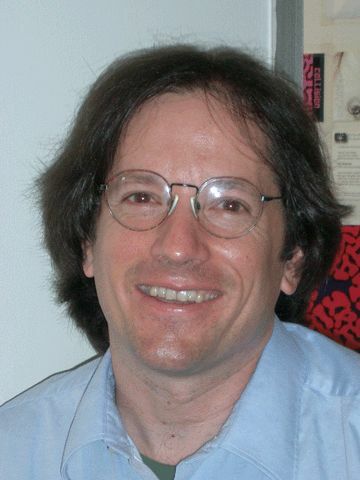 Peter N. Belhumeur is currently a Professor in the Department of Computer Science at Columbia University and the Director of the Laboratory for the Study of Visual Appearance (VAP LAB). He received a Sc.B. in Information Sciences from Brown University in 1985. He received his Ph.D. in Engineering Sciences from Harvard University under the direction of David Mumford in 1993. He was a postdoctoral fellow at the University of Cambridge's Isaac Newton Institute for Mathematical Sciences in 1994. He was made Assistant, Associate and Professor of Electrical Engineering at Yale University in 1994, 1998, and 2001, respectively. 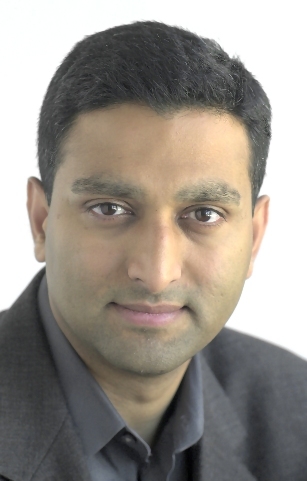 He joined Columbia University as a Professor of Computer Science in 2002. His research focus lies somewhere in the mix of computer vision, computer graphics, and computational photography. He is a recipient of the Presidential Early Career Award for Scientists and Engineers (PECASE) and the National Science Foundation Career Award. He won both the Siemens Best Paper Award at the IEEE Conference on Computer Vision and Pattern Recognition and the Olympus Prize at the European Conference of Computer Vision. This presentation will cover some of the unique challenges posed by systematic, large-scale photography. I will discuss the evolution of the Google Street View project from its early days to today, focusing on the unique cameras and imaging platforms the team developed and fine-tuned over the years. 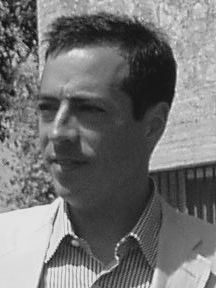 Luc Vincent joined Google in 2004. He is an Engineering Director responsible for projects generally focused on computer vision and large-scale data collection. They include Google Street View (a project he started in his "20% time"), the recently unveiled Google Art Project, Google's Optical Character Recognition (OCR) technology, and several Geo-related efforts around oblique imagery and 3D buildings. Before Google, Luc was Chief Scientist, then VP of Document Imaging at LizardTech, a developer of advanced image compression software. Prior to this, he led an R&D team at the prestigious Xerox Palo Alto Research Center (PARC). He was also Director of Software Development at Scansoft (now Nuance) and held various technical management and individual contributor positions at Xerox Corporation. Luc has over 70 publications in the area of vision, image analysis and document understanding. He recently served as an Associate Editor for the IEEE Transactions on Pattern Analysis and Machine Intelligence (PAMI) and for the Journal of Electronic Imaging. He has also served as chair for SPIE's conferences on Document Recognition, the International Symposium on Mathematical Morphology (ISMM), and in the program committee of numerous conferences and workshops. Luc earned his B.S. from Ecole Poly technique, M.S. in Computer Science from University of Paris XI, and PhD in Mathematical Morphology from the Ecole des Mines de Paris in 1990. Ramesh Raskar joined the Media Lab from Mitsubishi Electric Research Laboratories in 2008 as head of the Lab?s Camera Culture research group. His research interests span the fields of computational photography, inverse problems in imaging and human-computer interaction. Recent inventions include transient imaging to look around corners (Femto-photography), next generation CAT-Scan machine, imperceptible markers for motion capture (Prakash), long distance barcodes (Bokode), touch+hover 3D interaction displays (BiDi screen), low-cost eye care devices (Netra) and new theoretical models to augment light fields (ALF) to represent wave phenomena. Virtually all recent developments in imaging science employ concepts closely related to the properties of optical phase spaces. This includes among other topics superresolution imaging, multi-aperture and synthetic aperture imaging, feature specific imaging, compressive sensing, wavefront sensing and computational photography. In this context ?phase space? refers to a configuration space, where optical signals are specified in terms of generalized ray coordinates or Fourier reciprocal variables. For optical rays this corresponds to certain lightfield representations, while for optical waves the corresponding phase space is defined by joint space-spatial frequency transforms such as the Wigner distribution function. The term ?phase space? should be reserved for physically meaningful signal representations, which not only encode the signal, but also information about its dynamics, i.e. the physics of light propagation. Using primarily schematic depictions of phase space the tutorial will introduce phase-space optics by focusing on optical sensing, imaging and photography. Starting with the phase space of geometrical optics the discussion will develop a phase-space picture of paraxial optics, plenoptic imaging and auto-stereoscopic 3D display technology. The phase-space of coherent optical waves will be introduced as a generalization of geometrical optics for interfering signals. This will lead the discussion to wave front sensing, imaging systems with an extended depth of field, as well as superresolution imaging methods. The phase space of partially coherent signals will highlight limitations of geometrical optics and the need for a phase space of physical optics. A brief discussion of discrete representations of phase space will connect the analysis of optical hardware with signal processing methods. Markus Testorf holds a Ph.D. in physics from the University of Erlangen-Nuremberg, in Germany. Since his graduation he has worked at the National Institute for Astrophysics, Optics, and Electronics, Mexico, the University of Hagen, Germany, the University of Massachusetts-Lowell, and Dartmouth College, U.S.A. At Dartmouth, he is engaged in optics related research and teaching since 2003. His research interests cover a wide variety of topics related to information optics, including the design of diffractive and nano optics, as well as computational imaging methods. Throughout his professional career he has employed phase-space optics as a tool for research and education. To his own amazement, phase-space optics, long been considered merely an esoteric way of thinking about optics, is currently becoming integral part of exciting new imaging science. 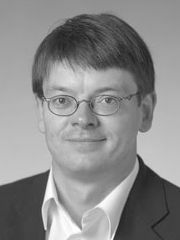 Markus Testorf is a fellow of the Optical Society of America, and a member of the European Optical Society (EOS), and the German Optical Society (DGaO). Portable light field cameras have demonstrated capabilities beyond conventional cameras. In a single snapshot, they enable digital image refocusing, i.e., the ability to change the camera focus after taking the snapshot, and 3D reconstruction. We show that they also achieve a larger depth of field while maintaining the ability to reconstruct detail at high resolution. More interestingly, we show that their depth of field is essentially inverted compared to regular cameras. Crucial to the success of the light field camera is the way it samples the light field, trading off spatial vs. angular resolution, and how aliasing affects the light field. We present a novel algorithm that estimates a full resolution sharp image and a full resolution depth map from a single input light field image. The algorithm is formulated in a variational framework and it is based on novel image priors designed for light field images. We demonstrate the algorithm on synthetic and real images captured with our own light field camera, and show that it can outperform other computational camera systems. Paolo Favaro received the D.Ing. degree from Universita di Padova, Italy in 1999, and the M.Sc. and Ph.D. degree in electrical engineering from Washington University in St. Louis in 2002 and 2003 respectively. He was a postdoctoral researcher in the computer science department of the University of California, Los Angeles and subsequently in Cambridge University, UK. 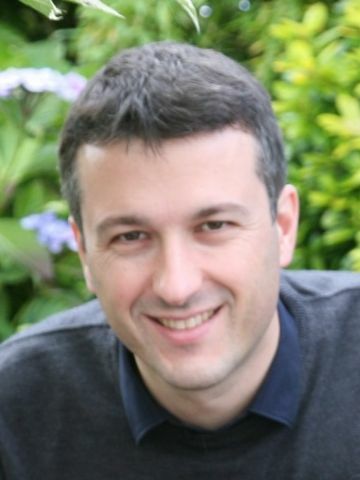 Dr. Favaro is now lecturer (assistant professor) in Heriot-Watt University and Honorary Fellow at the University of Edinburgh, UK. His research interests are in computer vision, computational photography, machine learning, signal and image processing, estimation theory, inverse problems and variational techniques. He is also a member of the IEEE Society. FCam (short for Frankencamera) is an architecture for computational cameras and an API that implements the architecture. Our motivation is flexible programming of cameras, especially camera phones. We give an overview of the API and discuss two implementations, one on N900, a Linux-bases smart phone from Nokia, and "F2", a research camera built at Stanford University that allows experimentation with different sensors and optics. We also describe several applications developed on top of FCam, and FCam use at universities in research and teaching, so far in North America, South America, Europe, and Asia. Kari joined NVIDIA research in April 2011 to work in imaging and other mobile applications. Previously he was at Nokia since 1999 (1999-2004 in Oulu, Finland; 2004-06 a visiting scientist at MIT CSAIL; 2006-11 at Nokia Research Center Palo Alto). He was Nokia's 6th Nokia Fellow, and a Member of CEO's Technology Council. Kari worked a lot on standardizing mobile graphics APIs at Khronos (OpenGL ES, OpenVG) and JCP (M3G) and wrote with colleagues a book on Mobile 3D Graphics. In Palo Alto he started research group working on mobile augmented reality and computational photography (including the FCam architecture for computational cameras). Kari has a B.Sc. in Comp. Sci. from Univ. of Minnesota, M.Sc. and Lic. Tech. in Comp. Eng. from Univ. of Oulu (Finland), PhD from Univ. of Washington (Seattle), MBA from Univ. of Oulu, and worked as a research associate at Stanford as the technical lead of the Digital Michelangelo Project. Copyright © 2010-2011 ICCP. All rights reserved.